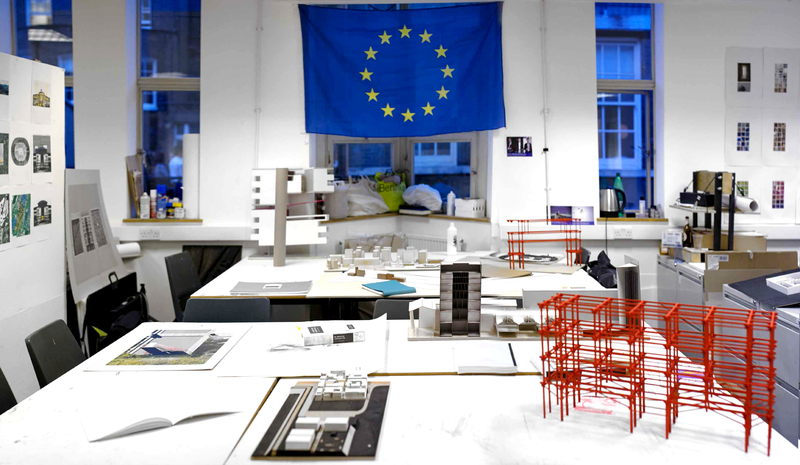 Oracles for Europe is a societal and spatial programme that focuses on the potential impact of both architecture and the architect in the realm of public policymaking. As ‘policy whisperers’, studio participants use architecture to re-position the discipline as an urgent political practice while at the same time speculating that architecture has manoeuvred itself, through its recent teaching, research and practice, into an impotent niche of self-absorbed and often aesthetically driven dogma. How can the architect become a relevant social confidant, a slightly more invisible yet more effective middle-man, a co-designer of policy instruments, through the vantage point of architecture? Throughout the studio’s exercise, the city of Brussels – the de-facto capital of Europe – has proven an ideal testing ground for recalibrating European policy conditions. An abstract node in the Eurodelta, the city is economically crucial yet impersonal, having benefitted from the merciless exploitation of the Congo in the 1890s, and since the late 1950s publically affirming itself as the bleak and almost accidental receptacle of the European political establishment. Brussels is indeed a capital devoid of any substantial or recognisable policy efforts. Could, however, the lingering pilot character of the by-now historical concepts of the Bauausstellung (the building exhibition), the Biennale (the perennial exhibition) or even the Exposition Universelle be reconceptualised to positively strengthen policymaking of the near future? Can the act of ‘exhibiting’ architecture – of exhibiting the city – sufficiently fuel policy insights for new equitable European futures? What partnerships and instruments can substantiate such experiments? The studio asks these questions in light of the brutal realities Europe now faces – both in terms of the Troika–Greece bailout impasse and the 350,000+ asylum seekers who are forcing European governments into an unattractive defensive stance. Europe is in need of strong socio-cultural pilot projects – spatial oracles that resonate beyond a seriously scrambled society. Reclamation of a visionary societal counter-narrative is imminent.